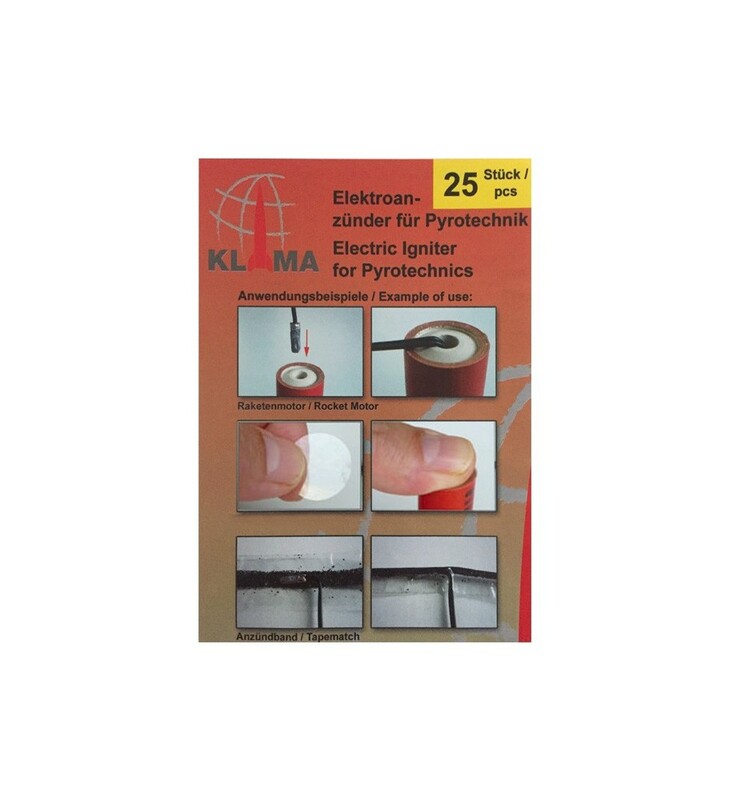 Pack of 25 electric igniters for model rocket engines. Super reliable, they can work with only 1.5 volts and guarantee 100% safe ignition. You can use them with both Klima and Estes engines. 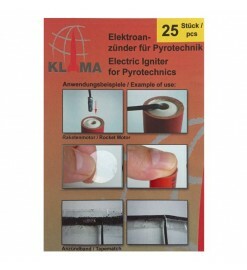 The new Klima igniters are the evolution of electric igniters for model rocket motors. They are the result of a long study to get reliable starters, capable to ignite the motor without failing and without the need of high currents. With these igniters you can say stop to misfires or weak batteries once and for all. 1.5 volt is enough to operate them, so you can use any 6, 9 or 12 volt launch controller from any brand. In addition, thanks to their features you can combine them in series (not in parallel!) to start rockets with multiple engines (clusters). The package contains 25 pieces.